WelCom November 2017: This year marks 150 years in New Zealand for a number of Catholic and community organisations. 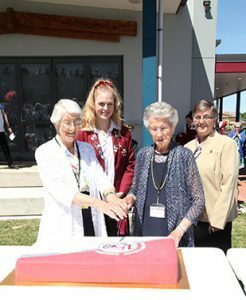 Celebrating their histories and jubilees in October were the Society of St Vincent de Paul, St Joseph’s Māori Girls’ College and Sacred Heart College Napier. 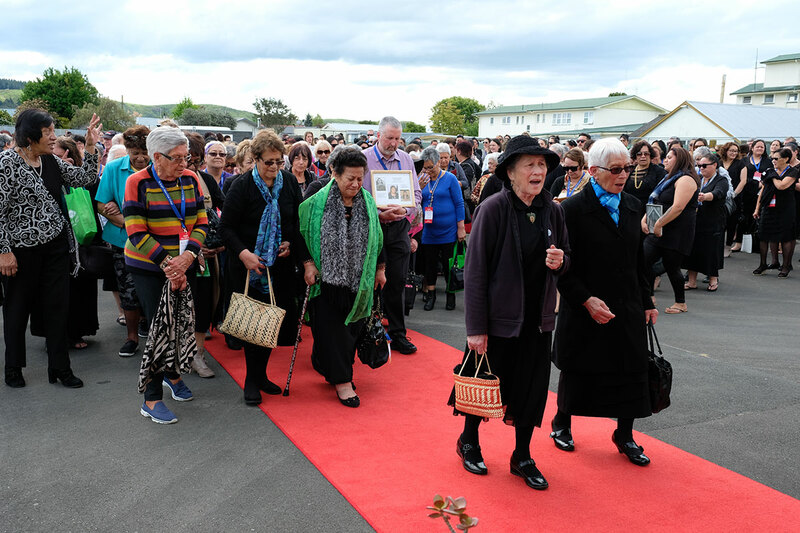 St Joseph’s Māori Girls College, Greenmeadows Napier, celebrated 150 years over the weekend of 6–8 October. 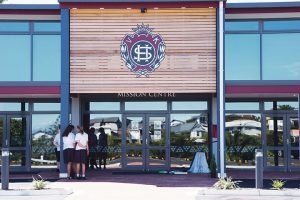 The school has nurtured 8000 girls throughout that time including notables such as Dame Whina Cooper, the first president of the Māori Women’s Welfare League, Dame Katerina Te Heikoko Mataira, a founding member of the Māori Language Commission, and singers Moana Maniapoto, Hinewehi Mohi and Maisey Rika. 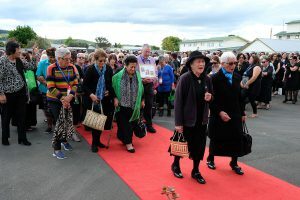 Current principal Dame Georgina Kingi, a former student herself, has dedicated more than 50 years of her life to the school. She notes a key element is ‘the support one has and that starts with your boards, your boards of trustees, the trust board the hostel management board’. She also mentions ‘the ongoing support of the parents and wider family that have made getting to 150 years possible’. Ms Kingi, herself a past student of the college, was a teacher at St Joseph’s from 1969 before becoming the principal in 1987 where her influence has had a lasting effect on her past students. Current head girl Paretao Tipoki-Hansen shares, ‘You really have to grow up here and be mature and independent but it’s all preparing us for life at Uni, life after and life with kids of our own’. HE ARA ROA – A History and Recollections of St Joseph’s Māori Girls College by Malcom Mulholland is currently in its first draft with Huia Publishers. It is expected the publication will be available in the middle of 2018. I ō mahi katoa, mahia! St Joseph Māori Girls’ College past and present staff and students. 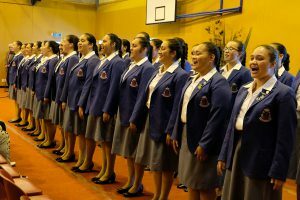 Kuia take part in the Pōwhiri at St Joseph Māori Girls College. St Joseph’s Māori Girls’ students perform waiata. We put out the call and they answered. Following in the footsteps of their founder, Euphrasie Barbier, the RNDM Sisters came to celebrate our 150th Jubilee over Labour weekend 2017. They came from Rome and Paris as well as New Zealand. Sacred Heart Napier was the foundation school of the order and many of the sisters who came were also past students or staff. They joined with others from the UK and the USA, from Europe and Australia and all corners of New Zealand. Friday night saw the start of the celebrations with over 420 gathering to reconnect with classmates and to share stories and memories. The buzz was electric and there was much laughter, many hugs and wonderful memories shared. Pupils from the 1930s through to the 2000s celebrated together. 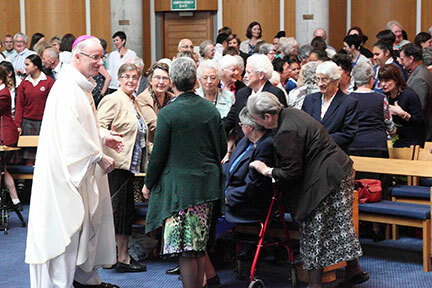 Bishop Charles Drennan and RNDM Sisters at Sacred Heart College Jubilee Mass, St Patrick’s Church, Napier. 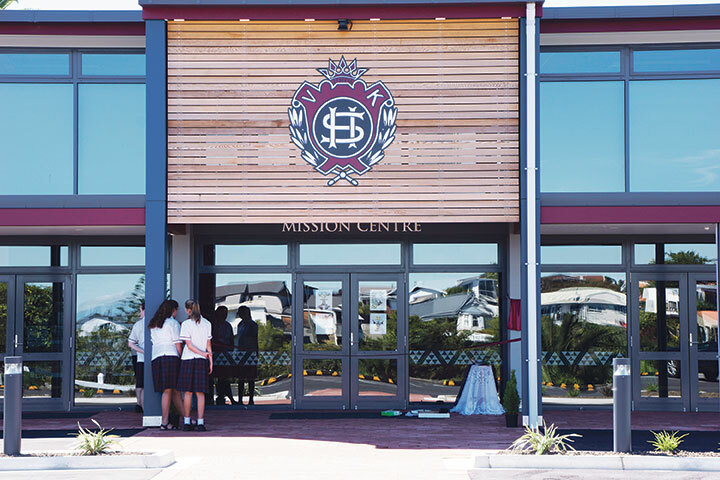 A glorious Hawkes Bay day greeted the many hundreds who flocked to the school on Saturday. Current students dressed in the uniforms of bygone days welcomed the visitors. The physical changes to the school impressed many as they wandered down memory lane and shared stories of the past while marvelling at the modern environment now found on top of the hill. 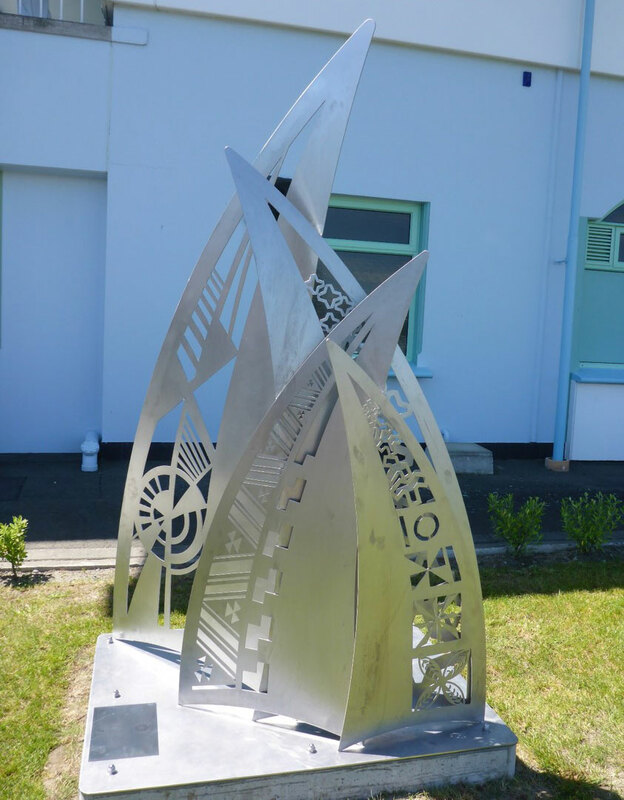 An impressive Jubilee cake donated by Heavens Bakery was cut and then our principal, Steve Bryan, unveiled the beautiful new sculpture with its four sails which connect our past with our present. 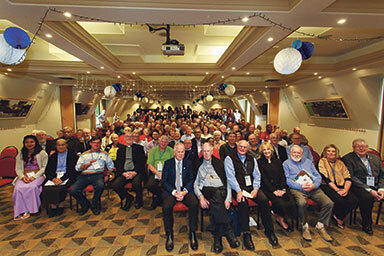 Saturday night’s celebration was attended by another 230. We were treated to the beautiful singing voice of past student Laura Jeffares and later entertained by Sr Mary Rose Holderness, who shared memories of her student days up on the hill. The final celebration was the Jubilee Mass at St Patrick’s Church which was filled to capacity. As Bishop Charles Drennan led the Mass the congregation were in fine voice and filled the air with beautiful song and prayer. Past and present students and staff joined to celebrate the college sisterhood. The weekend was a celebration of faith and friendship, of laughter and love. Congratulations to all those who contributed to making the weekend so wonderful. Trish Williams, HOD English Sacred Heart College, is a past student and a member of the Jubilee Committee. Cutting SHC jubilee cake (l-r): Mrs Oliver; Head Girl Bridgette Petrie; Sr Carmel Cassin RNDM; and Sr Jo Kane RNDM. ‘The Four Sails’ – SHC’s 150th jubilee sculpture connecting the past and the present, designed by Sandra Howlett, SHC teacher and HOD for Art. Apostolic Nuncio Archbishop Martin Krebs (r) celebrates with (l-r) Bishops Charles Drennan, Owen Dolan and Emeritus Basil Meeking. 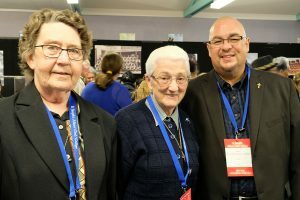 St Vincent de Paul’s 150th National Conference, was hosted over Labour weekend in Christchurch where the Society first began in New Zealand. It was a great success and an inspiration to those attending, says John Kennedy-Good, President of the Society’s Wellington Area Council. 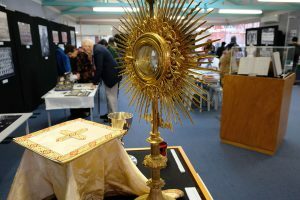 John said a highlight was the impressive service held at the Pro-Cathedral in Christchurch with four bishops attending. 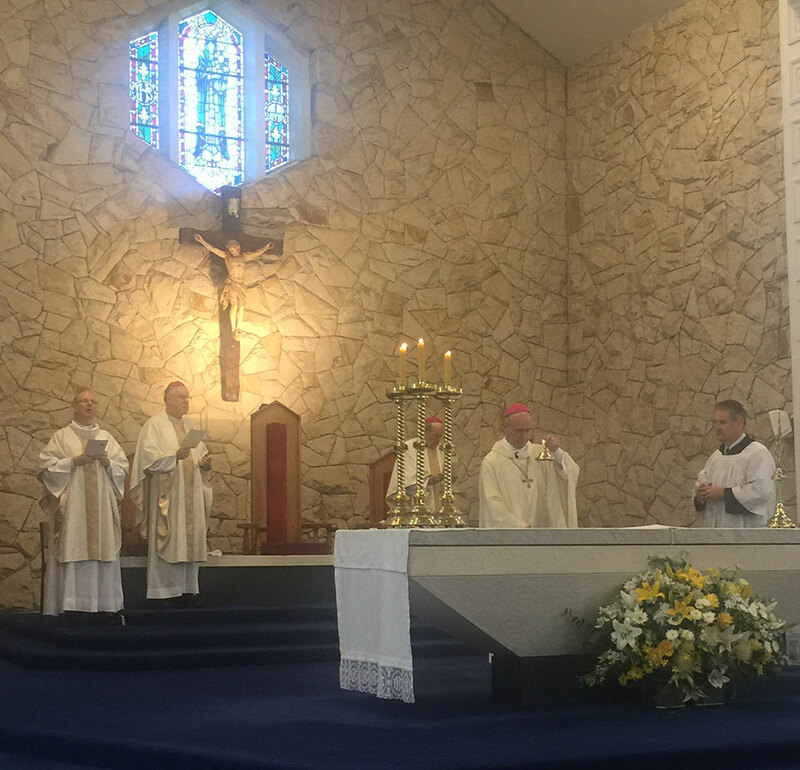 The main celebrant was the Apostolic Nuncio Archbishop Martin Krebs who was joined by Bishop Owen Dolan, Bishop Charles Drennan and Bishop Emeritus Basil Meeking. ‘The celebrations were very well attended and the hospitality offered was superb,’ John said. The International Society was well-represented. There were excellent presentations from International Territorial Vice-President, Frank Brassil, and from the National Presidents of Sri Lanka, Tonga and Samoa. There were also presentations from ‘Twinning’ co-ordinators Tony Muir and Arthur Schultze. Society of St Vincent de Paul 150 year commemorative poster. Fr Jim Consedine delivered the keynote address, Honouring Frederic Ozanam – Expanding the Vision. Fr Jim’s extended family has had a long and dedicated involvement with the Society. He also challenged the Society to rediscover its social-justice roots and to involve itself more in issues of justice as well as charity. ‘I sometimes wonder what happened to the social justice vision that originally inspired Frederic Ozanam [Society co-founder]. 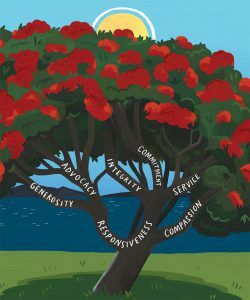 In New Zealand, the Society today is perceived as focused on the charity dimension with little recognition of its justice origins. We do charity well but not justice. And yet the need to address issues of injustice and inequality and oppressive social structures is there in the Society’s Handbook, said Fr Jim. 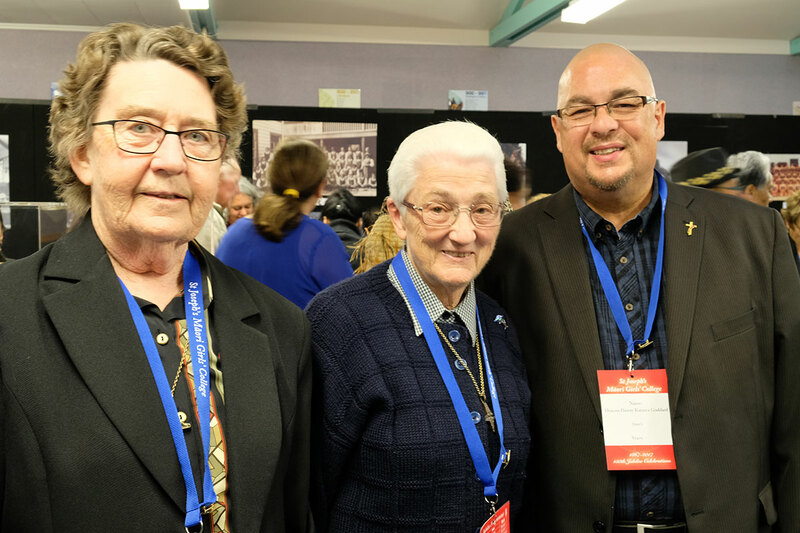 National and international Vincentians at SVdP celebrations in Christchurch. 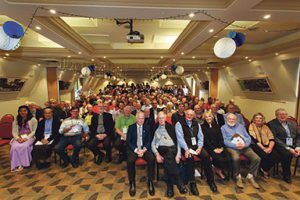 The 150th Anniversary of the Society is being celebrated by local branches of the Society throughout New Zealand in the course of this anniversary year.